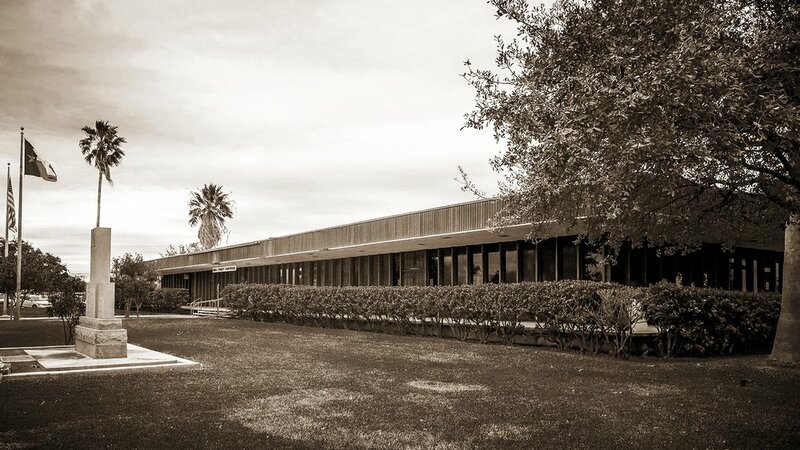 Situated in a small South Texas town called Crystal City, this 1970 modern courthouse was designed by Gene P. Hobart and unlike many Texas county courthouses, features a very simple linear facade with a large 1984 addition at the southeast corner of the building. The first phase of the project is to design a new two-story annex building across the street from the current courthouse. This annex will be able to accommodate District and County courtrooms along with supporting district and county department office space. Upon completion, the new annex will become the new county courthouse for Zavala County. The second phase of this project is to renovate the existing courthouse to accommadate various other county staff including an expanded sheriff's department. The project is currently in the design phase.